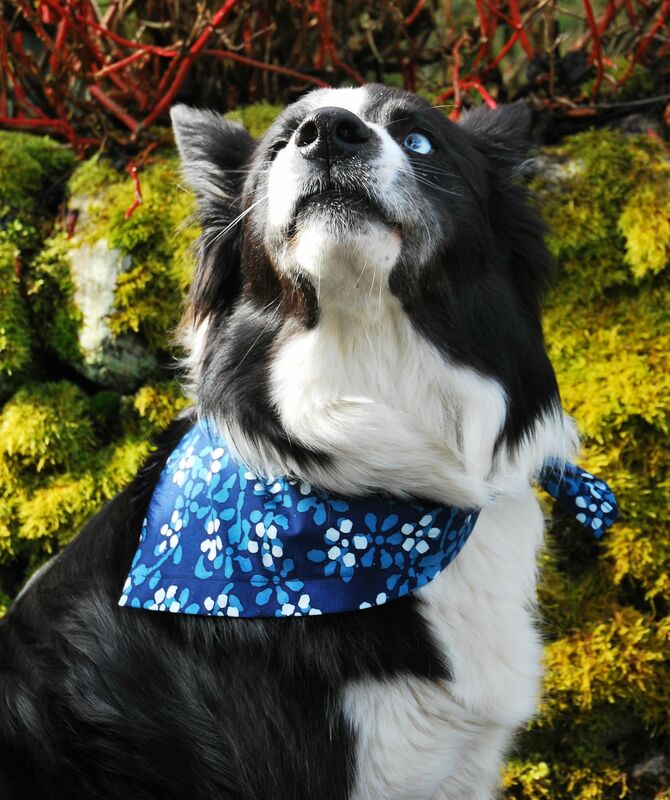 A gorgeous Floral Batik dog bandana, new in for Spring/Summer 2018. 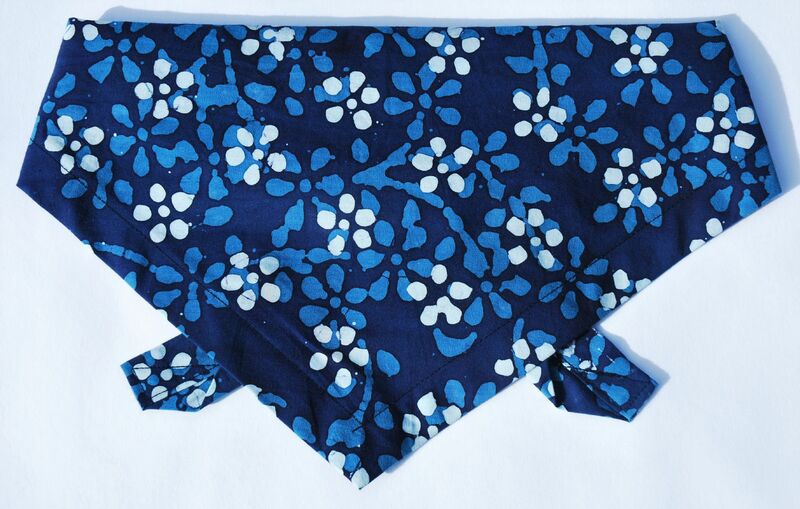 The background is a lovely rich shade of navy blue, with a handprinted floral design in a lighter shade of blue and white. This is a great, on trend look for the oncoming spring and summer months, and is perfect for holidays, or any occasion!